This multi-tool has a patented locking impact mechanism with a variety of optional WorkEnds driver bits. Includes precision ground combination 66 and 110 blade for one step to terminate and cut wire. 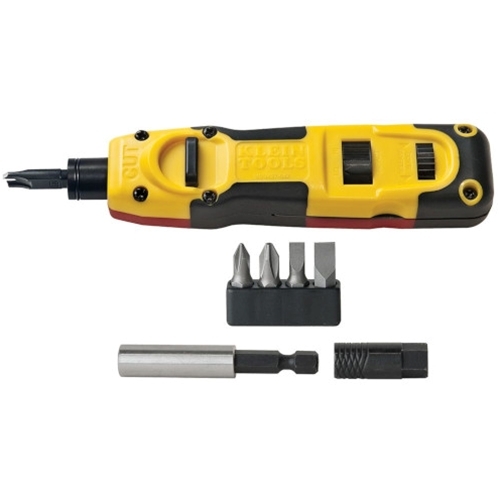 Kit includes WorkEnds adapter and 4 driver bits (#1 and #2 Phillips; 3/16'' [5 mm] and 1/4'' [6 mm] slotted) in a convenient carrier.